The American Metalcraft CIPR7251 baking dish has handles that allow staff to carry it straight from the oven to the tabletop. 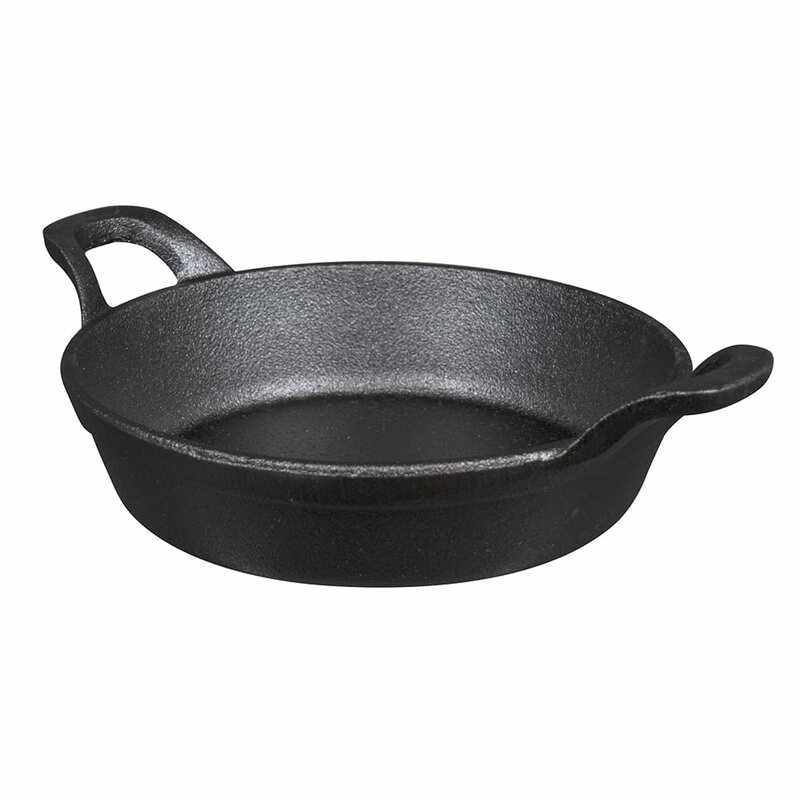 Since it is made of cast iron, it is strong enough for commercial use, heats evenly, and retains heat to keep dishes hot as they're served. This American Metalcraft CIPR7251 cast iron baking dish has a 27 ounce capacity, making it perfect for serving pasta dishes or family-style food. "Excellent cast iron skillet for corn bread in the toaster oven."